Our busy fall came to an end quickly this year; but we aren’t complaining! 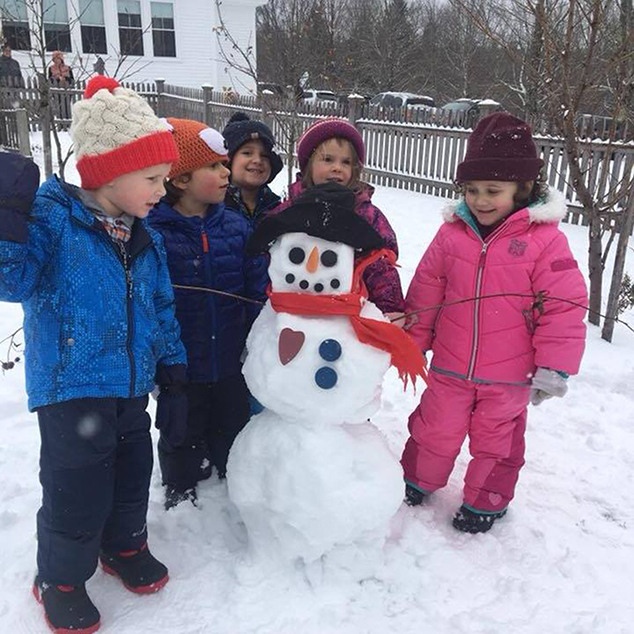 We welcomed the early snow that brought opportunities for sledding, snow angels, and snowmen! Just before that first snowfall, we were able to get in our Creepy Crawl 5K Fundraiser. Thank you to the many area businesses who were event sponsors, and to all of you who came out to run or walk the course. Even with the rainy weather our event was a success. Last month EAVP was lucky enough to welcome local storyteller Simon Brooks to our school. The visit was a result of a grant that was awarded to the Salisbury Public Library by the Children’s Literacy Foundation. The hour presentation concluded with Mr. Brooks gifting each child with two new books to bring home. Thank you to the Salisbury Library for including us! In December we are looking forward to our Grandparents’ Day celebration as well as our classroom holiday party. Who knows… maybe Santa will even stop by! Happy Holidays from all of us at EAVP!